Metropolitan Market is an award-winning Washington grocery store chain known for offering the highest quality ingredients from local artisan growers and producers. Their newest branch was opened in the Sammamish, WA in March 2017. As construction on the 35,000-square-foot retail store was underway, it became clear that inside the building cell signal was poor. 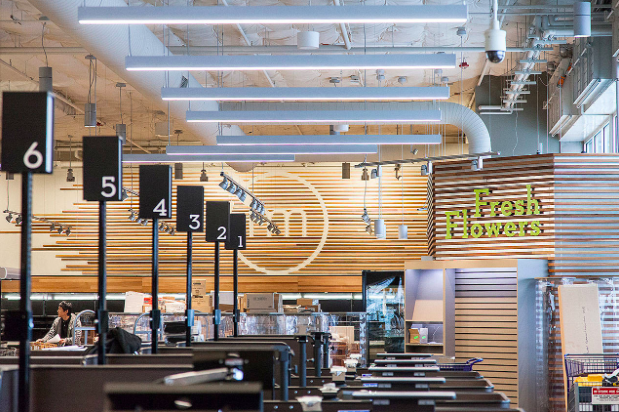 Connectivity is vital for all retail stores, and high quality supermarkets like Metropolitan Market are no different. Customers need signal to browse emails in the checkout line, to call home and check if they need milk, or to check recipes and ingredients online. The store also needed reliable coverage in their office, and in the warehouse area. Since customers could be with any network, Metropolitan Market needed voice and data coverage for all major cell carriers. 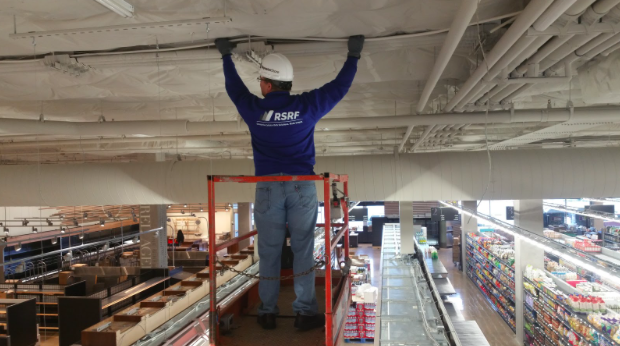 With a tight deadline, less than two months to the grand store opening, Metropolitan Market contacted the RepeaterStore enterprise division, RSRF. RepeaterStore’s team arranged a site survey within the week. Engineers visited the site in Sammamish, WA and took detailed signal strength readings. The team was able to determine the most cost-effective signal solution for the store, design that solution using the building floorplans, and send a full quote to the customer as fast as they needed it. Since the supermarket wanted 4G coverage on all networks, a powerful WilsonPro passive distributed antenna system (DAS) was clearly the most appropriate (and cost-effective) choice. This project really brought home the importance of getting a comprehensive site survey during the design process. At first, the RepeaterStore team expected to place the outside (donor) antenna on the roof, but the site survey showed that signal there was very poor. Instead, the team moved the donor antenna to the side of the building and signal immediately went from one bar to five bars. One of Metropolitan Market’s chief concerns was outside antenna placement. Like many high-end retail stores, they wanted to avoid an unsightly roof or wall antenna. The installation team found an effective yet discreet wall location for a powerful Wilson yagi antenna, and painted the antenna to blend in with the building. Once the customer approved the design, the professional installation team flew out to Washington. The installation was a six-day project for the experienced team. As the store neared completion, the team ran plenum cable, and installed the donor antenna, 14 inside antennas, and the WilsonPro 70 Plus Select boosters. There were several challenges with the installation. The high supermarket ceiling needed particular drop down antenna mounts, and the installation mostly took place after hours, working around several other construction teams finishing other projects in the store. The result was fantastic. From virtually no indoor coverage on any network, the store could now offer customers four to five bars of LTE signal on every network. Employees in the store office and the receiving area no longer have to worry about connectivity. With two weeks to spare before the grand opening, this high quality retail store now had high quality cell coverage to match. 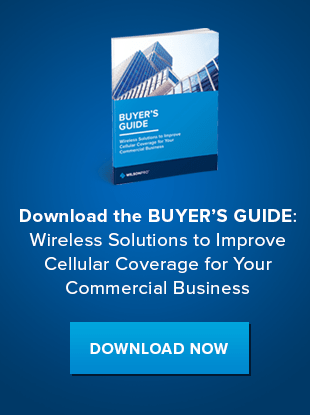 Download our Buyer’s Guide to find more of WilsonPro's solutions to enhance the cell phone signals throughout businesses and residential buildings, or contact us to learn more. Founded in 2006, RepeaterStore is one of the leading systems integrators in the fast-growing "middleprise" in-building market. RepeaterStore's newly-launched RSRF division is focused on implementing small cell and sub-DAS solutions in offices, hospitals, industrial facilities, multifamily residential units, schools and universities. RSRF's nationwide installation team deploys small cell, sub-DAS, and active DAS solutions across the country, with deployments typically happening in weeks rather than months.